Okay, so if you know either Sylvia or myself, you will know how we tend to embrace the slight quirky take on things. 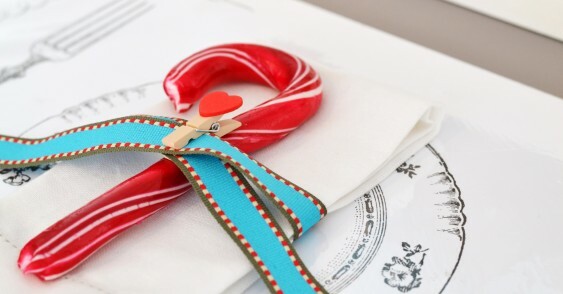 Traditions are lovely in their proper place, but if we can add a new spin to it, we will! 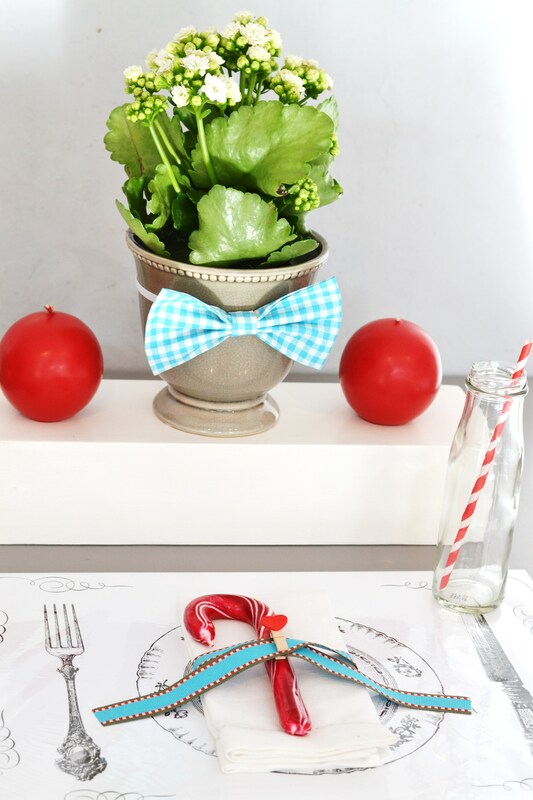 Take a look at this table setting idea – what fun! 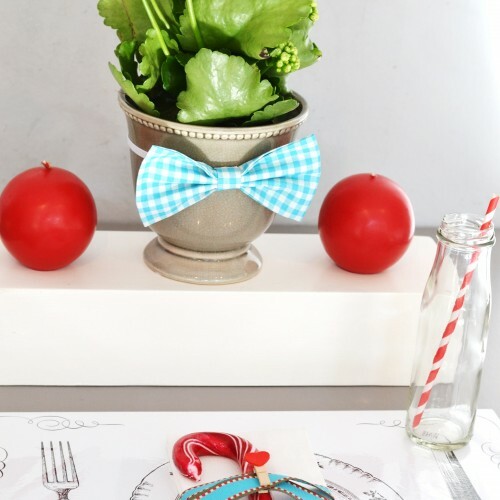 Turquoise and red are just perfect for each other and we love the quirkiness of the bowtie trend popping up in the décor too. 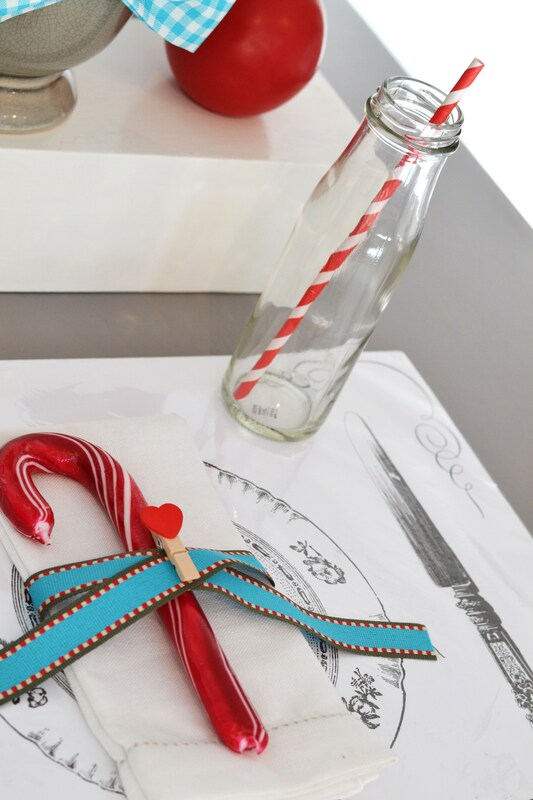 The bottle and stripy straw add to the light-hearted approach to the Christmas table, as does the ribbon around the candy cane. 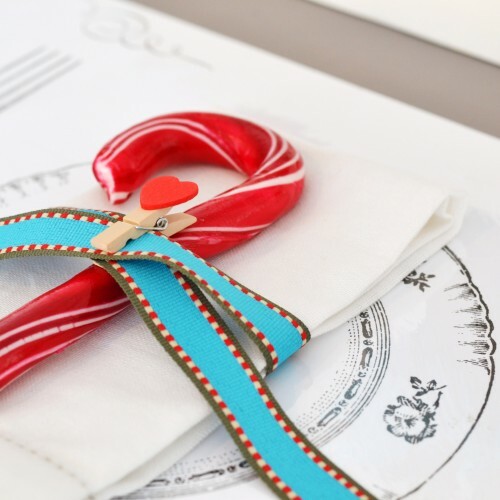 And isn’t that ribbon just perfect?! I love the extra touch of the heart clothes peg! 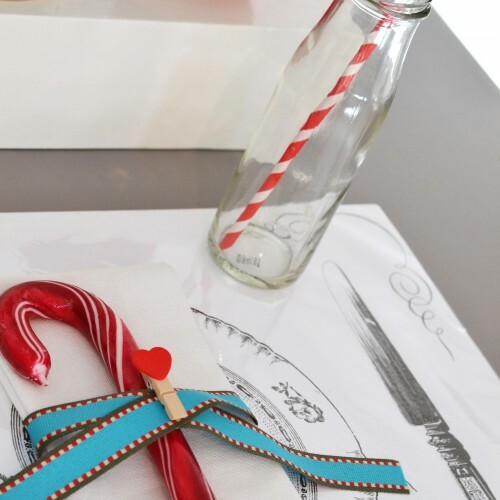 For other quirky, fun ideas for your Christmas table, pop into the shop and pick Sylvia’s brain; she is incredibly talented! 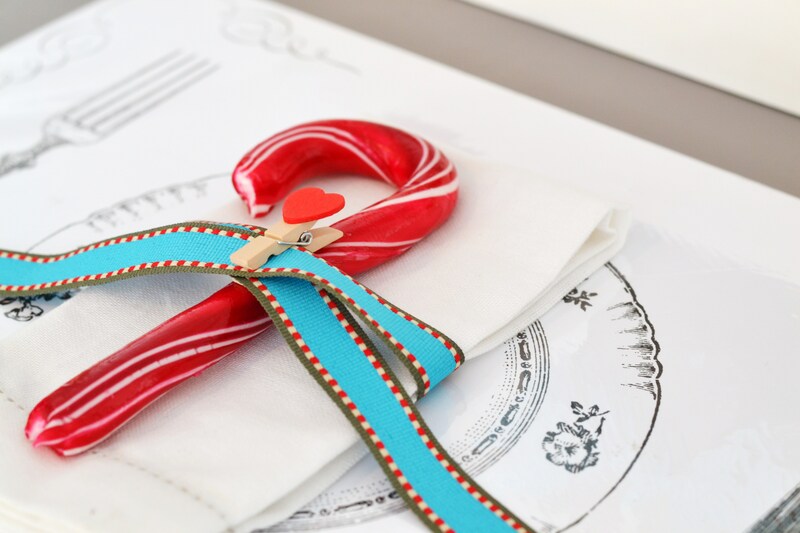 And conveniently, the Special Events’ store is your one stop shop for all your hostess needs. Come visit us in Ryneveld Street, or browse our online shop from the comfort of your own home.